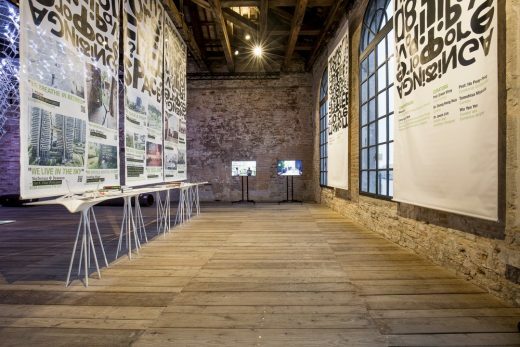 Venice, 23 May 2018 – Commissioned by the DesignSingapore Council (Dsg) of the Ministry of Communications and Information, and the Urban Redevelopment Authority (URA), and curated by the Singapore University of Technology and Design (SUTD) in collaboration with the National University of Singapore’s Department of Architecture (NUS), the Singapore Pavilion asks if there is indeed No More Free Space? in the island state, in response to the overarching theme Freespace conceptualised by curators Yvonne Farrell and Shelley McNamara. No More Free Space? tells the story of how, in spite of the lack of free space, Singapore-based architects, urban planners and place-makers have creatively found ways to bring delightful free spaces to the city’s everyday life. 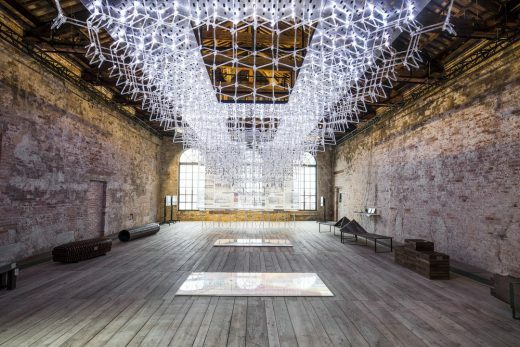 The exhibition, which marks the country’s sixth showcase at the International Architecture Exhibition of La Biennale di Venezia, since 2004, celebrates how architects and planners have innovated and borrowed from nature to create useful and delightful spaces and places. Set against the backdrop of Singapore’s compact urban environment, the exhibition features 12 Singapore-based projects that showcase the resourcefulness of the architects, their inspirations and the realisation of ideas, while borrowing natural resources such as light, air, greenery and water. Each of the 12 projects featured shows imagination, openness, discovery and resolution to turn constraints into possibilities. The projects also tap into social capital in order to bring joy and connect people to the larger community. 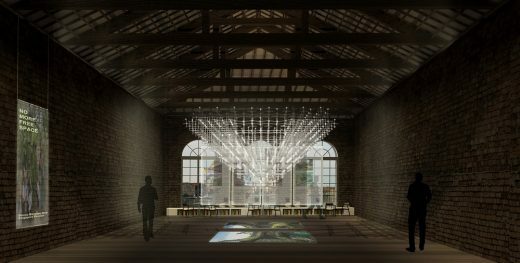 The Pavilion’s centrepiece features an immersive installation, an ethereal cloud made of skilfully handcrafted acrylic knots gently suspended in the vast spaces of the Sale d’Armi – a venue provided by the National Arts Council. 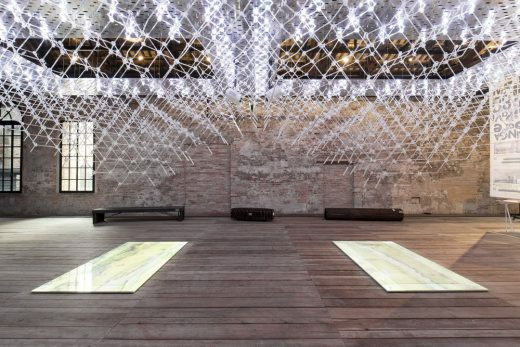 Complete with a multi-sensory projection of lights, sounds and images of Singapore, the pavilion invites visitors to immerse themselves in the spaces within the cloud and enjoy the multi-sensorial installation – in itself an example of a resourceful, unexpected free space. The presentation will be restaged in Singapore in 2019 to engage the public about turning Singapore’s physical constraints into possibilities with imagination and creativity. No More Free Space? hopes to be a testimony of how the creative freedom of mind has the power to turn space constraints into a myriad of alternative possibilities. Singapore is a unique, multi-cultural, multi-ethnic island city-state with a population of about 5.6 million people on a land area of just 720 km2. Its dense urban fabric has to support a multitude of uses and needs whilst dealing with spatial constraints. More than 400 times smaller than Italy, Singapore has turned its constraints into opportunity by re-imagining what a highly compact city can be. As a city and nation-state, Singapore has to set aside land not just for housing, utilities, business, water catchment and recreation, but it also has to ensure there is land for future growth to keep the economy thriving and vibrant. “The Singapore story is one of overcoming constraints and turning adversity into opportunity. The Singapore Pavilion embodies this ethos. Our architects have not allowed limited physical space to limit their ambitions. They have used their imagination to create more with less, which is also relevant for a rapidly urbanising Asia and the world. The aim of our Pavilion is to share Singapore’s experience with others facing similar challenges – how we have overcome constraints through design to build a better home for our people,” said Singapore Minister for Communications and Information, Mr S Iswaran. “Delightful spaces are places we love to be in; they are where we create shared memories and make emotional connections. Whether it’s a community kitchen in the unused space of a public housing development, or a library in a shopping mall, good design can make us feel positively about a space. The Singapore Pavilion spotlights the best examples of our architects shaping an innovative and loveable city by design,” said Mr Mark Wee, Executive Director of the DesignSingapore Council (Dsg) and Co-Commissioner of the Singapore Pavilion. “Singapore is one of the world’s most liveable cities, an outcome of integrated and long-term planning, with priority placed on good architecture and urban design. The articulation of good design in our spaces not only sparks imagination, but can also evoke wonder and turn spaces from the functional and utilitarian into a delightful community asset. The Singapore Pavilion this year, showcases creative brilliance in the design of our public and private spaces, bringing vibrancy and delight to the people,” said Mr Larry Ng, Group Director of Architecture and Urban Design Excellence at the Urban Redevelopment Authority (URA) and Co-Commissioner of the Singapore Pavilion. 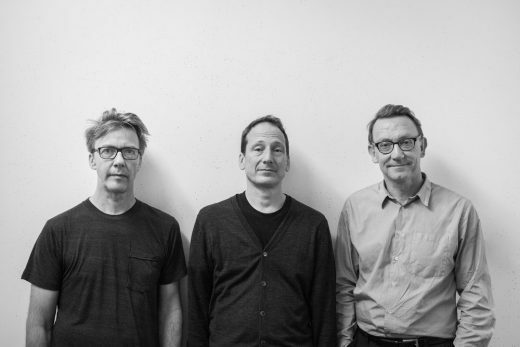 “SUTD is honoured to lead the curation of this year’s Singapore Pavilion at the Biennale Architettura 2018. Through ‘No More Free Space?’, my fellow curators from architectural practice, SUTD and NUS hope to present to the world the delightful possibilities of designing spaces out of limited or even non-existent free space. 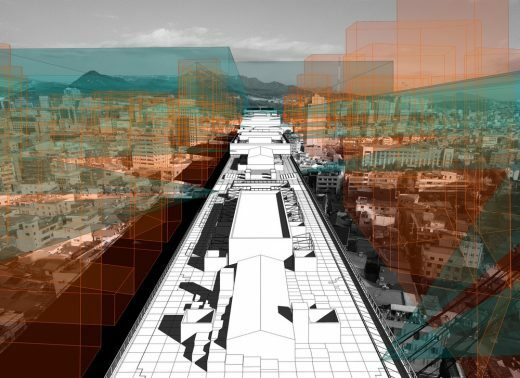 Drawing from the best 12 Singapore projects, we hope to spur our imagination of the possibilities and elicit an appreciation of free space of architecture,” said Prof Erwin Viray, Lead Curator and Head of the Architecture and Sustainable Design pillar at the Singapore University of Technology and Design. For more information on the Singapore Pavilion and design forum, please visit website: www.nomorefreespace.com. Commissioned by the DesignSingapore Council (Dsg) of the Ministry of Communications and Information, and the Urban Redevelopment Authority (URA), and curated by the Singapore University of Technology and Design (SUTD) in collaboration with the National University of Singapore’s Department of Architecture (NUS), the Singapore Pavilion asks if there is indeed No More Free Space? in the island state, in response to the overarching theme Freespace conceptualised by curators Yvonne Farrell and Shelley McNamara. More than 400 times smaller than Italy, Singapore has turned its constraints into opportunity by reimagining what a highly compact city can be. As a city and nation-state, Singapore has to set aside land not just for housing, utilities, business, water catchment and recreation, but it also has to ensure there is land for future growth to keep the economy thriving and vibrant. “The Singapore story is one of overcoming constraints and turning adversity into opportunity. The Singapore Pavilion embodies this ethos. Our architects have not allowed limited physical space to limit their ambitions. They have used their imagination to create more with less, which is also relevant for a rapidly urbanising Asia and the world. The aim of our Pavilion is to share Singapore’s experience with others facing similar challenges – how we have overcome constraints through design to build a better home for our people,” said Minister for Communications and Information, Mr S Iswaran. “Delightful spaces are places we love to be in; they are where we create shared memories and make emotional connections. 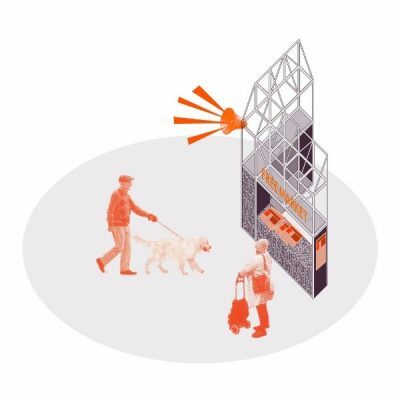 Whether it’s a community kitchen in the unused space of a public housing development, or a library in a shopping mall, good design can make us feel positively about a space. 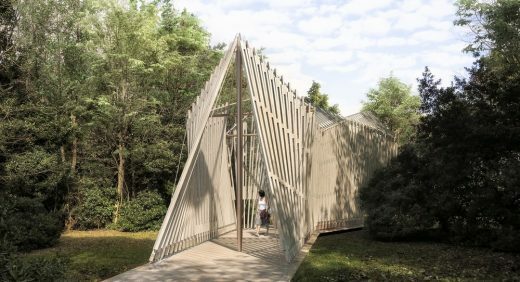 The Singapore Pavilion spotlights the best examples of our architects shaping an innovative and loveable city by design,” said Mr Mark Wee, Executive Director (Designate) of the DesignSingapore Council (Dsg) and Co-Commissioner of the Singapore Pavilion. 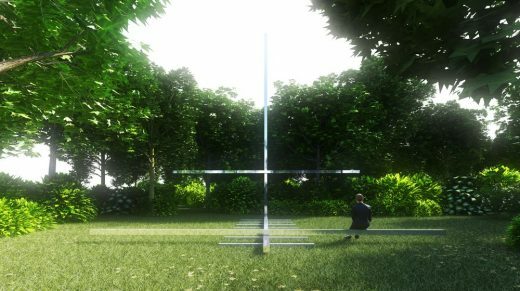 “SUTD is honoured to lead the curation of this year’s Singapore Pavilion at the Biennale Architettura 2018. Through ‘No More Free Space?’, my fellow curators from architectural practice, SUTD and NUS hope to present to the world the delightful possibilities of designing spaces out of limited or even nonexistent free space. Drawing from the best 12 Singapore projects, we hope to spur our imagination of the possibilities and elicit an appreciation of free space of architecture,” said Prof Erwin Viray, Head of the Architecture and Sustainable Design pillar at the Singapore University of Technology and Design.